While moderate anxious feelings can be limiting, severe anxious can be crippling. Anxiety currently afflicts more than 20 million Americans, making it the most common mental illness in the US. Are you tired of your Anxious Feelings roller coaster, constant weight gain, and feeling so overwhelmed with all the thoughts going around your head that you feel like you'll explode? Are you going to bed exhausted and full of anxious feelings and you are getting up the same way? Are you feeling kind of dependent on others and feeling too overwhelmed with stuff in your life that you are considering seeing a therapist? So, what do you have to do if you want to propel your life to the next level and create the lifestyle that you deserve, without killing yourself finding your balance? "Monica is an amazing therapist , she is helping my daughter and I in many ways to improve the quality in our life. My daughter after the first appointment said: “we keep her” she is amazing. Her experience in her practice is helping my daughter big time and is something I will be thankful the rest of my life"
A highly effective way to get your body and your soul in perfect working order and One of the holistic complementary therapies experts say you Need Now! 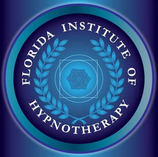 I’m Monica, your personal hypnotherapist, and I have countless of success stories and untold amounts of happy clients… Call Me Today and let me explain you how hypnosis can help you bypass all your mental barriers and go straight to a proven formula that will improve your life forever! I help INDIVIDUALS and FAMILIES to find the perfect balance for a healthy environment at home, work, and school, facilitating incredible and positive emotional changes! Are you ready to experience a new you? "Monica has a very special healing quality about her. I feel emotionally lighter today after my session with her. She is kind and compassionate and I would recommend her to anyone!" 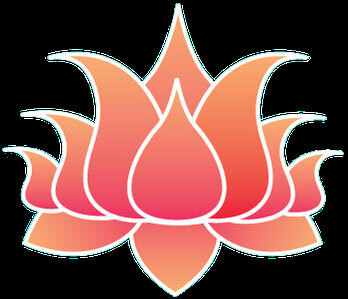 Hypnotherapy holistically integrates body, mind and spirit into a force for positive transformation. "My sessions with Monica have completely gotten my life back on track. I rediscovered something so beautiful within myself that I had lost and new power & happiness that I never imagined. The best of me is yet to come thanks to her talents"
Hypnosis is the only therapy that can go to the emotional root cause of your problem without the drug side effects! "Monica is patient and shows compassion in her therapy session, she helped me find my inner self and to hug myself, make peace with myself to release inner pain in my past, I have been to hypnosis in the past and haven't felt such connection with my true state of being as I felt with Monica, you can see it in her eyes and hear it in her voice, her warm smile is a reflection of the care and healing she gives, I will be anticipating my next session."